Your Better Starts Here. Four simple words that can change lives. It's short. It's to the point. It's encouraging. It's a kind suggestion that we hope triggers a response in Canadians, making people from all walks of life realize how easy a life-change can be. As the largest national retailer of sporting goods, footwear and apparel in Canada, we've got the tools to get people moving on the path to wellness. Our mission is to inspire every Canadian toward a fit, healthy and active lifestyle. Sport Chek believes that a healthy lifestyle can be adopted at any age, any level and within any activity. For more information about Sport Chek and our parent company, visit www.fglsports.com. 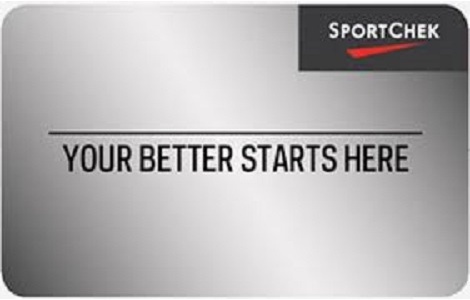 Order your bulk Sport Chek gift cards from National Gift Card Canada today!